I had the priviledge of attending the Gala in NYC for Room to Read last year, an organization I am a very proud ambassador for. At this Gala, I was fatefully seated across from a woman who turned out to have traveled from Tanzania to be there. Her name was Neema. I was completely taken by her. Her energy was beyond anything I had come across in a while. She was so full of life and excited…about everything! Infectious is the word. She had me at hello. 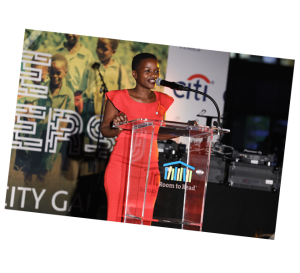 Turns out, she is a social mobilizer for Room to Read who had flown in to speak at the Gala. 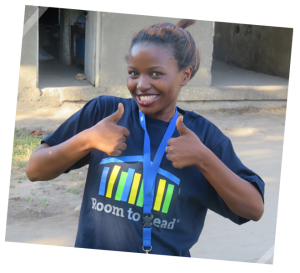 A social mobilizer is one of the great and many aspects of why Room to Read is so very successful. They are the people who are mentors for the students outside of their classrooms. They are the people who walk into these students homes, meet with their parents to understand their home environment, all to make sure nothing stands in the way of them continuing their education. They are the ones who stand along side students who are at risk of dropping out of school. They are the sounding boards for their students. It’s an emotional job. One which requires patience, passion and most importantly, love. Love for the students they mentor and love for their families who may be going through a numerous amount of hardships. 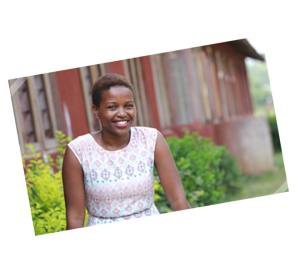 I learned Neema had her own hardships in life and an uphill battle to get an education. To me she exemplified a selflessness in humanity because after achieving her goals she turned around to make sure other people facing their own hardships had someone to break down barriers for them. Dearest Neema, you fill my heart with joy knowing there is someone like you out there. You are all that is right in this world. You inspire me. You’ve begun your career working as a social mobilizer for Room to Read. But I know that this is more than a regular job for you and you have had quite the journey becoming a social mobilizer and role model for the girls you mentor. Will you tell me a bit about your life and what took you here? I’m one of six children who was raised by a single mother. As a primary school teacher, my mother struggled to raise six children and my two other family members. It was a daily struggle, living in financial hardship without support from my father or anyone else. My mother always did her best to make sure we could survive, but like I said it was a struggle. When I was in primary school, I watched almost half of the girls drop out. Most dropped out as a result of early pregnancies, early marriages, poverty, and divorce or family separation. Of the 100 girls in my primary school, I was the only girl from my class who completed secondary school and then went onto college. What was one of the hardest challenges you faced, while you were trying to achieve your dreams and how did you deal with it? Apart from mother, no one else believed that I could achieve my dream. As such, I wanted to prove to them that my mother was right and they wrong and that I could finish school and go onto college. I did (and am still doing) everything to achieve my dreams, and here I am today. As a social mobilizer, what do you do on a daily basis? Why is your job so important? As a social mobilizer, I mentor girls from Grade 6-12 to encourage them to work through obstacles and stay in school. I facilitate life skills trainings that help girls negotiate key life decisions and make choices that work best for their lives, even if they are hard decisions. I also work closely with parents and my larger community to advocate for girls’ rights and their education. When I was younger, I saw countless friends drop out of school – and all of this made me want to change my situation. I couldn’t take my family and friends back to school, but I believed I could help change the lives of the next generation. So, I decided to use my passion to help girls study hard and reach their educational goals. I saw how many girls’ dreams were crushed by getting pregnant at a very young age and how these girls were treated in our community and knew I could help them. For me, working with girls in Room to Read’s programs has given me a real sense of purpose. I am able to give other girls something that I have already been given—an education and an opportunity to overcome challenges and succeed. I hope I am living proof to Tanzanian girls that they, too, can fulfill their dreams. Seeing girls inspired and working towards their goals is my greatest purpose in life. If you had to give one piece of advice to one of the girls you mentor, what would it be? I would say that “It’s okay to have more than one dream”. If we were to go to Tanzania, what’s the number 1 thing you would suggest us doing? I would suggest you climb mountain Kilimanjaro, it’s an amazing experience being on the roof of Africa. Who has had the biggest influence on your life? My mother. Her ability to overcome all the challenges of being a single mother, while never letting us feel like we were a burden to her, always stands out to me. She is my super woman. What is your most proud accomplishment? Being a mother to my very beautiful daughter. I started watching “The Ellen DeGeneres Show” when I was in college in 2009. The first thing I loved about her show was and still is, her slogan “BE KIND TO ONE ANOTHER”. It made me want to do better and be nicer to people like she is. I really try to never miss her show, but if I do, I’ll watch the videos she posts on YouTube. She is very genuine, kind and positive, which is amazing considering what she went through in her career and life. She could have been bitter from those experiences but she chose kindness, and I admire that. So I try to act similarly because if she can still smile and treat people so positively, then I can certainly be kind. I just really love Ellen. What’s one thing you’d do differently if you had the chance to restart your life? I would not change anything, I am grateful for the lessons and the blessings I have experienced in my life. From them, I can learn from different lesson and have an understanding of how to improve myself as I move forward. This entry was posted on March 7, 2019 by dvblogAdmin.